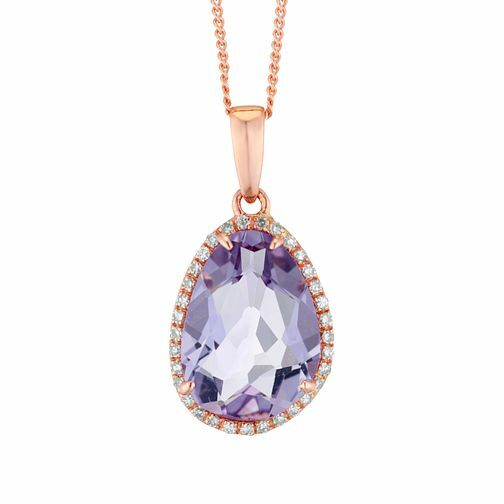 A warm and delicate design, this 9ct rose gold pendant contains an Amethyst stone that is adorned with miniature diamonds around the outer rim. Its beauty is heightened by a mysteriously natural ambience and distinct irregular shape. A gorgeous design with alluring appeal.